More sneaky learning. “The Battle Of New Orleans,” written by a high school principal with a love of history, pre-dates Schoolhouse Rock by almost 15 years, but shares the same basic idea: take a subject most kids would find boring, simplify it, and make it catchy. 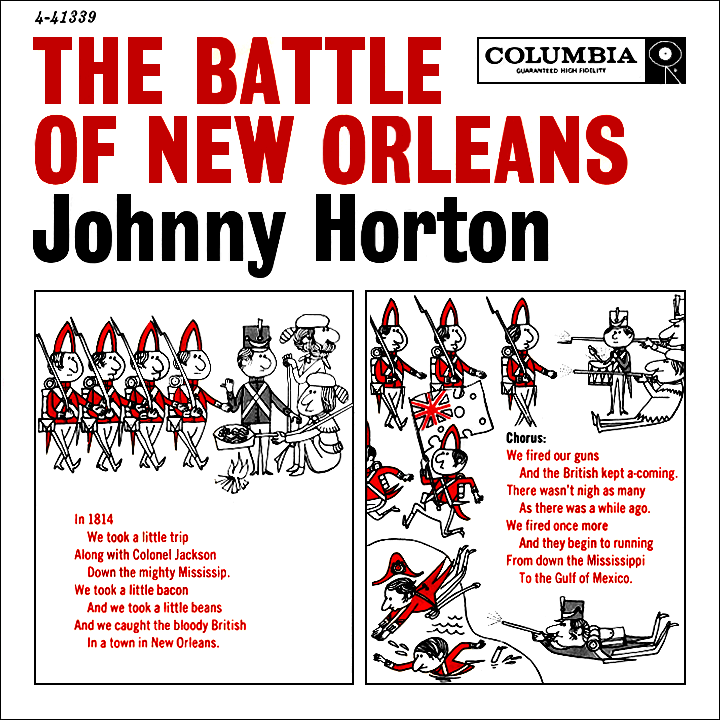 Though many artists have covered “The Battle Of New Orleans” over the years, Johnny Horton’s 1959 version remains the most famous. It spent six weeks at #1 on the Billboard chart that year and topped the Country chart, as well. Unfortunately, Horton didn’t have long to enjoy his success. 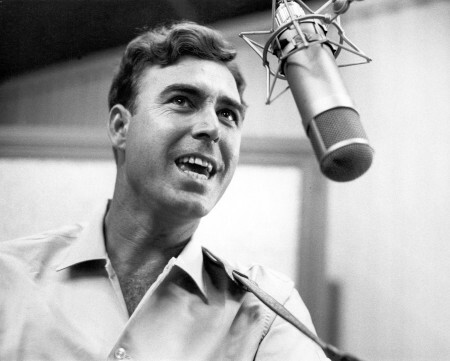 He had a couple more sizable hits in the historical vein, but just over a year after achieving mainstream success, Johnny Horton died when a drunk driver slammed head first into his car. Horton was only 35. He left behind him a fine collection of rockabilly and country songs well worth checking out. Since that’s a downer way to end a post, let’s finish up with this fun fact: in 1986, Dwight Yoakum had a big hit with Horton’s own “Honky Tonk Man” —it was the first country video played on MTV. This is one of your dad’s and my favourite songs. We adore Johnny Horton and would listen to this and his other historical songs. Sink the Bismark, people! North To Alaska! You go north, the rush is on. That’s the other one! Your dad and I will have such a nostalgia trip this evening. I’m enjoying this sneaky learning theme.